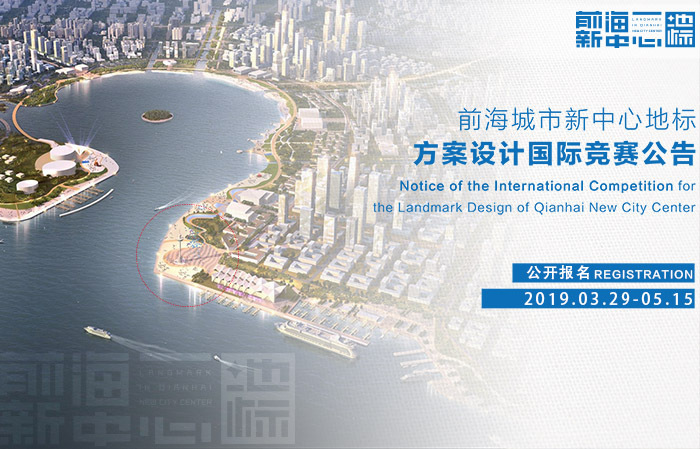 Official Lauching of the International Competition for the Landmark Design of Qianhai New City Center. Organizer: Shenzhen Qianhai Shekou Free Trade Investment Development Co. Ltd.
3. 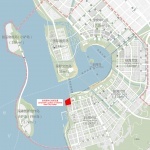 Project location: the landmark is proposed to be located in the northwest coastal area of 01, Unit 17, Qianhai Mawan Area, Shenzhen. As the fourth great bay area in the world, the Guangdong-Hong Kong-Macao Greater Bay Area is an important spatial carrier for China to build world-class city group and engage with the world. In accordance with the requirements of “relying on Hongkong, serving the mainland and facing the world”, Qianhai has undertaken a number of national strategic goals that include these four major national strategic missions-Free Trade Zone, Guangdong-Hong Kong-Macao Cooperation, One Belt One Road and Innovation-driven Development. It is the Special Zone in Special Zones. 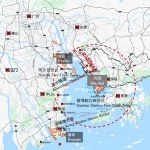 With the official launch of the Outline Development Plan for the Guangdong-Hong Kong-Macao Greater Bay Area, it is of great significance to build a world landmark which represents the image of the Guangdong-Hong Kong-Macao Greater Bay Area and promotes the spirit of the special zone. According to the work arrangement of Shenzhen Municipal Government, the International Competition for the Landmark Design of Qianhai New City Center is officially launched. We sincerely invite excellent designers and professional teams from home and abroad to participate in the competition, hoping to collect the most creative design scheme with international view and create a new logo for the new city center of the Guangdong-Hong Kong-Macao Greater Bay Area with a high standard and starting point. 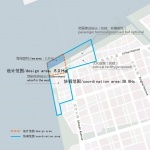 1) The design area is 8 hectares, including 3.2 hectares of sea area and 4.8 hectares of land area. The specific location of the landmark shall be proposed by the designer. 2) Coordination area is 38.8 hectares. Overall consideration is given to the spatial relationship between the landmark and the coastal ecological parks in the east and south, and integrated consideration is given to the functions, landscape, facilities, slow traffic system, forms and surrounding municipal conditions of the landmark and its surrounding areas. Combined with the existing planning and project plan of the adjacent plots (passenger terminal or the other public facilities), relevant planning suggestions are put forward to meet the needs of a world-class new landmark in the bay area. The competition consists of two stages: Stage 1 – invitation + open registration and prequalification; Stage 2 – proposal preparation and review. Through invitation + open registration, this competition is open to the world collecting ideas. 5 domestic and foreign top design companies, art masters and other professional teams are invited to participate. Meanwhile, an announcement is made on well-known websites, newspapers, magazines, multimedia, famous universities and other channels all over the world, collecting ideas and scheme designs from professional individuals or design firms. Through prequalification, 10 more competitors will be selected from the open applicants to participate in the competition. Open registration needs to submit registration document and conceptual proposal. Please see further details from the Competition Document. 4. Sou Fujimoto Architects Inc. The competitors shall submit the deliverables in accordance with the Design Brief. All deliverables will be reviewed by the jury. The jury will make an open vote in rounds. An independent voting will be held after much discussion by the experts. Two candidates for the first prize will be selected after rounds of voting, and the first prize winner and the second prize winner will be selected by the host. In addition, the jury will select 2 third prize winners and 3 excellent prize winners. ☆All the time is subject to Beijing time. The hosts reserve the right to adjust the schedule. Excellent prize (3): RMB 1 million (about $150,000) each. If the open shortlisted competitors submit qualified deliverables but fail to win the prize, each will receive a compensation of RMB 400,000. You can take bonus or compensation, whichever is higher. No compensation will be given to the participants who submit unqualified deliverables.